Computer notes: This Qupzilla browser in Haiku is really starting to impress me. This Qupzilla browser in Haiku is really starting to impress me. 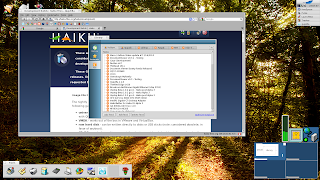 I've already posted about Qupzilla which is a relatively new cross-platform Qt browser which works very well in Haiku. Qupzilla is fast but suffers from the perennial Qt browser problem in that it crashes more often than I would like. However, with Qt 4.8.0, crashing occurs at what may be called a tolerable rate which means you can live with it. I already posted about the favicon only bookmarks bar which, in my opinion, is so much superior to speeddial in that everything is right there in front of you all the time without having to click to the speeddial page. Additionally, assuming you can remember what favicons refer to what webpages, you can get a huge number of one-click launchers for all of your preferred sites and webpages. Initially, I found you needed to leave a space in the bookmark title as otherwise the title would not delete. However, I've now found that right-clicking in the bookmarks bar permits you to select a Show Only Icons option which pushes all icons very close together, thereby permitting even more space for favicons in the bar. However, one of the best features of Qupzilla is its marvelous rss reader. One of the reasons I used to love the Opera browser before it started to become cluncky was its great rss reader. Now I've found one that's even better. One click on the listed feeds opens the page in Qupzilla. 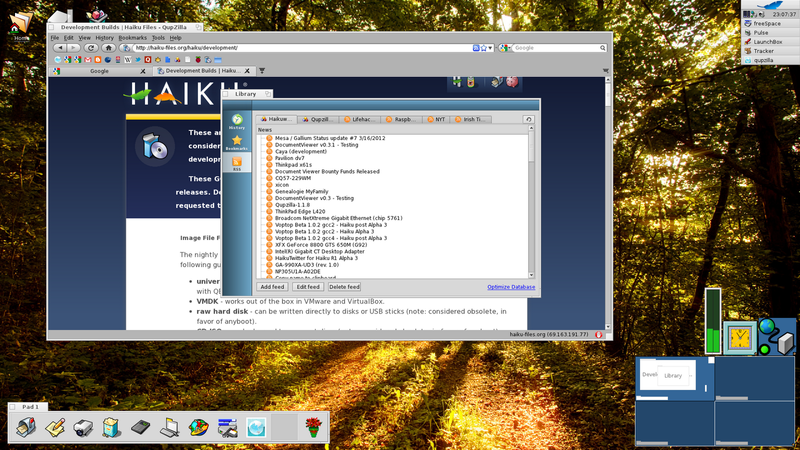 Largely because of the rss reader, I'm using Haiku much more on both my Dell desktop and on my EeePC 901 netbook. Actually, I must try out Qupzilla in OS X, Linux and Windows too just to see is it ready to take over from Chrome in these more mature platforms.